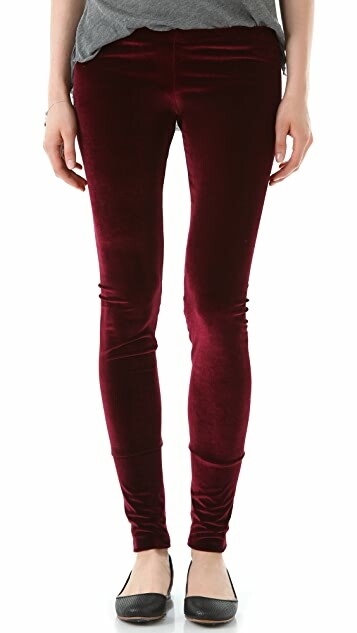 LNA gives basic leggings an update in plush velvet, and the double-layered cuffs ensure a snug fit. 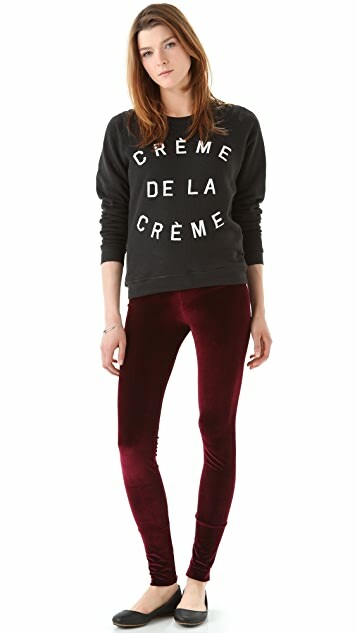 My convinced my friend to buy this leggings however I ended up buying it from her! 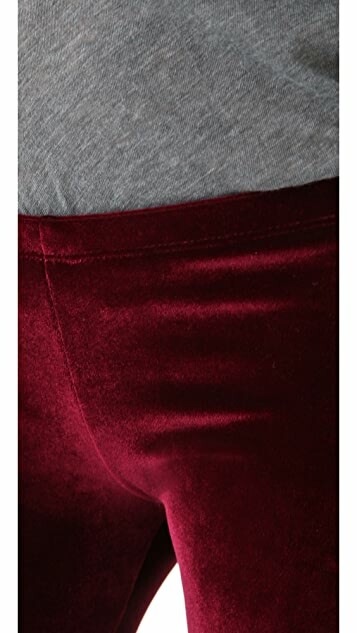 For most people, these jeans may seem to make your legs look larger than they are just because of the material. The foot opening is a little bit tight but you can find your way in to enter your feet anyway. I'm keeping this one to use for parties and special events to pair it with a nice pair of blouse. I wouldnt wear this for everyday because the material is a little sensitive for outdoor activities. You could easily sit in something dirty and would not know how to remove the stains. Over all i find this item unique to blend with other top that I have and !